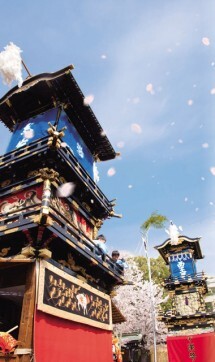 A national significant intangible gold cultural asset, started in1635 as an annual festival of the HARITSUNA shrine, and is still held every year on the first weekend of April. The highlight of this festival is the parade by 13 three-layered floats 25 feet in height, with the sound of Japanese flutes and drums. In the nighttime, every float is lit by 365 Japanese lanterns and its light and fully bloomed cherry blossoms make the scenery a truly unforgettable picture. INUYAMA festival was originally an event of the HARITSUNA shrine, where INUYAMA’s genius is enshrined. 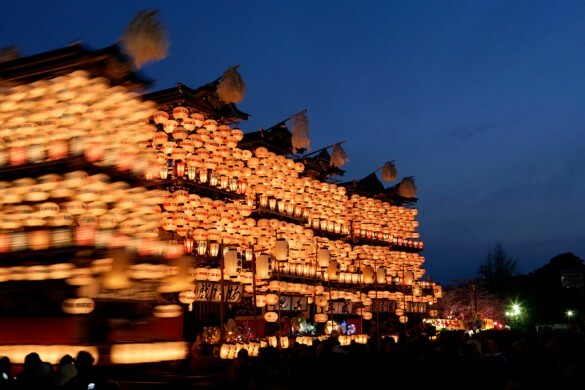 This became an annual event in 1635, by the chief retainer Hayatonosho Masatora NARUSE’s order. 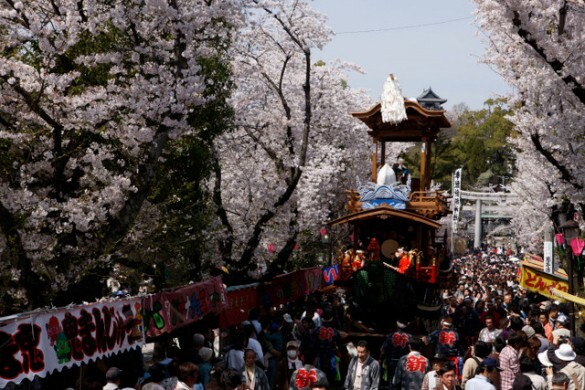 The highlight of INUYAMA festival is a parade by 13 floats. Every float has very gorgeous three layered construction, Japanese automaton and some of these can be seen only here in INUYAMA. All of these 13 floats are designated as AICHI prefectural tangible folk assets. The parade of floats itself is not that rare in Japan and can be seen all over Japan and floats are called in different ways. HOKO, DASHI, YATAI, DANJIRI are examples of them and in INUYAMA, floats are called YAMA, and written 車山 in Chinese character.